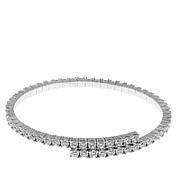 Time to switch up your tennis bracelet game? Get it out of line. 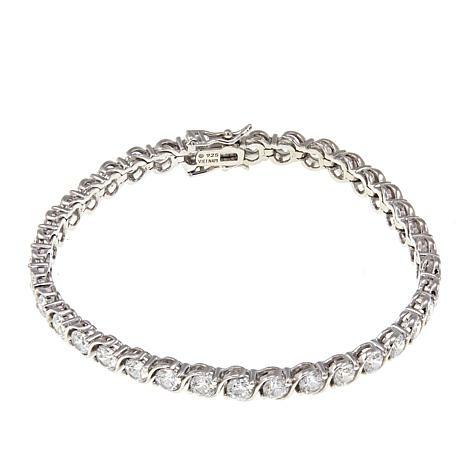 Slivers of sterling lend the familiar line bracelet look a feeling that's a bit modern and very graceful. Add it to your collection. Wear jewelry that's a fresh win for your wardroble. I happened upon this bracelet and took a chance. I'm so glad I did. It's perfect. 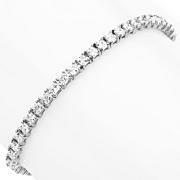 I prefer a bracelet with a higher carat size, this sits at 9 carats and I love it. I wear it with my diamond bracelets and you cannot tell them apart. 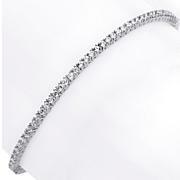 *Just a side note, not sure why HSN chose to call it "wavy;" it's the classic "S-Bar" tennis bracelet. * LOVE it so much.